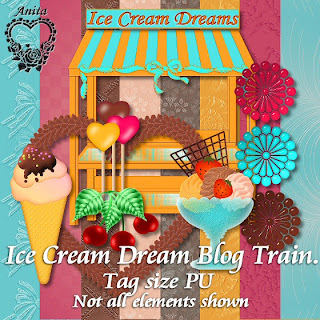 Daydreamers: Wilma4Ever Blog Train Ice Cream Dream. Not just one but two exciting Blog Trains leaving today. Ice Cream Dream. Lots of wonderful designers and great kits to collect. Please remember to leave a 'Thank you' a great deal of work goes into these kits. Png format tagger size 800x800. Now enjoy all of these amazing shares. Thanks for the blog freebie! Love it! Thank you so much! This kit turne dout beautifully!